A mon avis, it’s the most beautiful, most romantic city in the world. 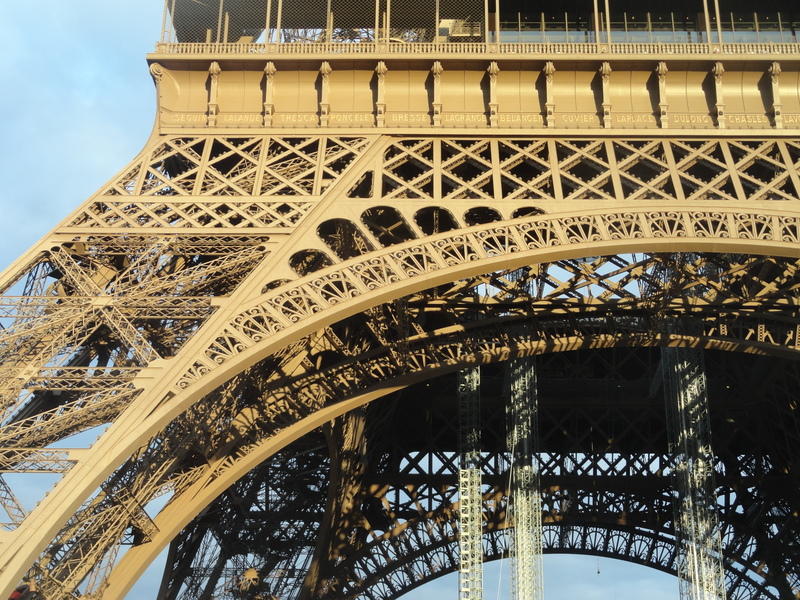 Earlier this month, I marveled at la Tour Eiffel but didn’t climb to the top of it (though I did ascend the spiral stairs inside the Arc de Triomphe and the steps at Montmartre). Like the main character in my upcoming novel, I drank café crème ( café au lait) at petit déjeuner and, at times, beaucoup de vin at déjeuner and dîner. 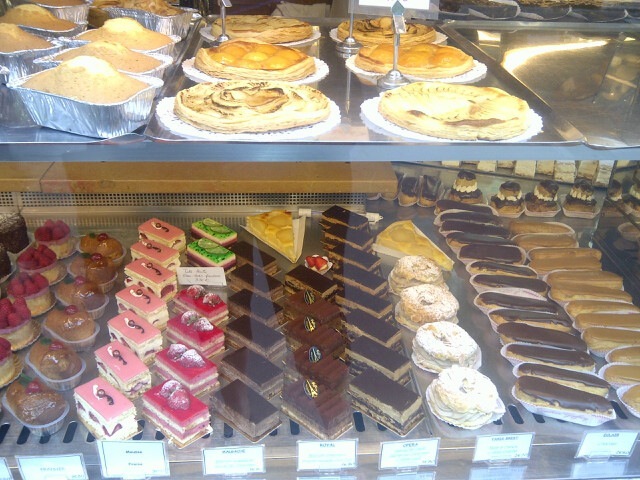 But unlike her, I only gazed at the pâtisseries. If you follow me on Twitter (@MakeThatJulie), you may have seen other photos from my recent vacation in France, an anniversary trip for my husband and me. It was fun speaking français and teaching him some helpful phrases such as L’addition, s’il vous plaît (Check, please). Though we enjoyed several lieux touristiques — monuments, museums and palaces — our most memorable moments occurred unexpectedly. Cocktails at the bar at Hotel Negresco in Nice. Lunch at a café in a petite village in the Luberon valley. Wine-tasting, explanations in French and a private dinner at a winery near Aix-en-Provence. Breakfast on the terrace at our hotel in the old section of Montpellier (and a nostalgic visit to the nearest beach). Exploring Lyon and nearby Beaujolais with French friends who hosted us for the weekend at their home. Laughing together as we figured out the Paris metro system (not that hard), and dinner at a tiny restaurant in Montparnasse that serves everyone the same (delicious) menu. Our experiences were so different from those that I had as an exchange student in France, part of a small group from the University of North Carolina. I was on a tight budget and traveled by train all over western Europe (but not much in France) using my Eurail pass. Since then, university abroad programs have exploded – just about everyone goes somewhere to party study and experience life in another culture. My novel, to be released soon, is about a girl who spends a year of college in the south of France, her life filled with adventure, romance, and many unpredictable and memorable moments. Her story takes place in an earlier time, but her experiences are much like those of many of today’s young women. And she dreams of going to Paris with the man she loves. Lovely post and it your novel sounds interesting! I have always dreamed of going to France. It’s great that you are experiencing the things that your characters have or will experience. If I could do that I would, I am sure it would make me better in tune with my characters. Today’s deluxe motor coaches make this an effortless trip. In all the 5 star hotels, you get secure, hygienic and value for money accommodation with all the basic facilities that meets your requirement and keeps you happy with its services and hospitality which you will cherish all your life. Other fun options on Oahu for children and adults, include Kualoa Ranch.